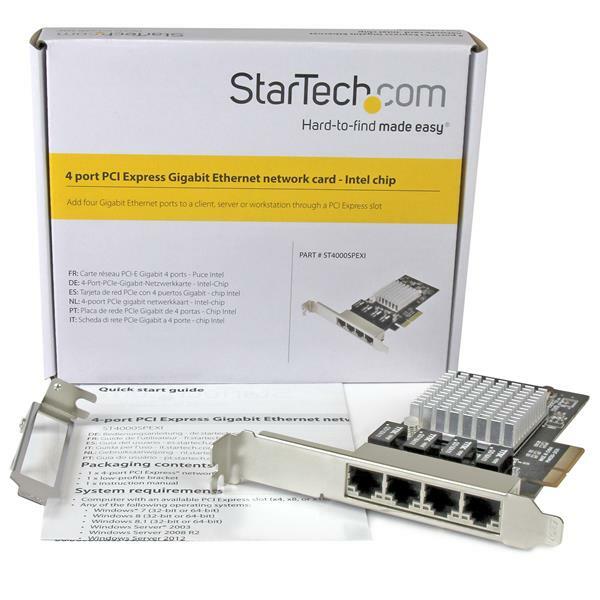 Here’s a dependable and cost-effective way to add four high-performance Gigabit Ethernet ports to your server or desktop computer, through one PCI Express slot. This Gigabit Ethernet network card features the Intel® I350-AM4 chipset, designed to deliver the power, performance and enhanced capabilities you need for reliable network connections to your server or computer. The Intel chip provides a number of advanced driver options including IEEE 802.3ad link aggregation / teaming support, which enables you to add additional bandwidth to your system. 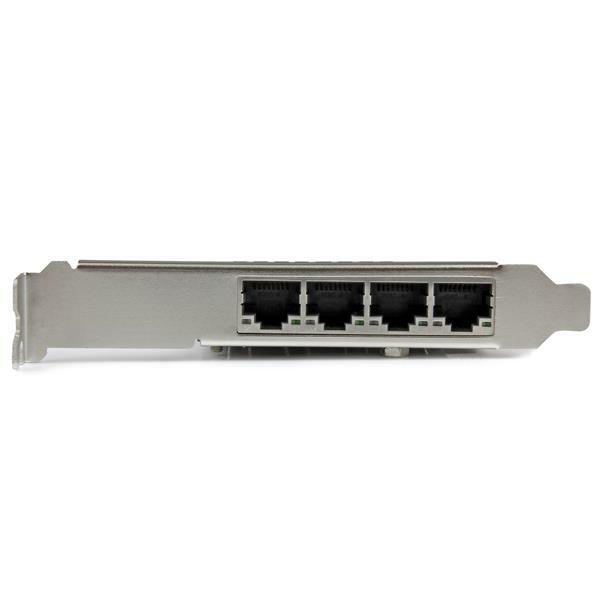 Compatible with a broad range of operating systems, this versatile PCIe Gigabit NIC is suitable for many business and enterprise applications - including virtualized environments with multiple operating systems, requiring multiple shared or dedicated NICs. 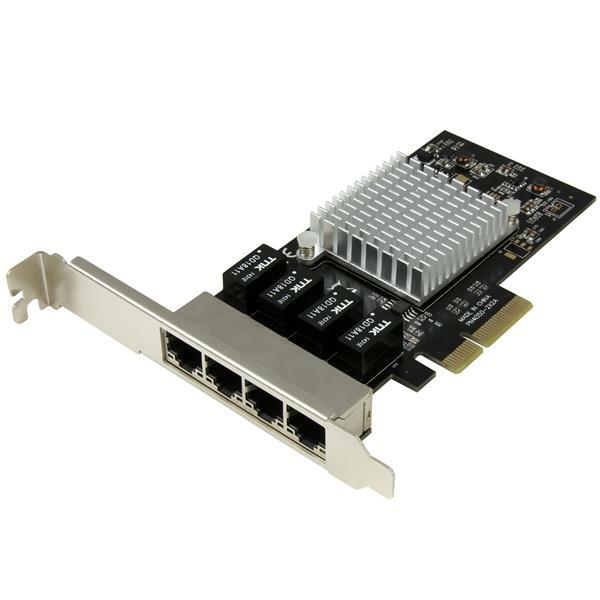 The 4-port Gigabit network card is equipped with Intel® Virtualization Technology for Connectivity (Intel® VT-c) which reduces system latency and improves networking throughput. Four dedicated ports allow you to maximize your virtualized server’s networking efficiency and create a more agile data center.